Laser Hair Growth Treatment Review - Does It Work? Laser Hair Growth Treatment Review: Does It Work? This review examines laser hair growth treatment to find out if high cost laser therapy really does work and can stimulate hair regrowth following hair loss. There are seven potential problems you should know about which might mean this form of therapy does not restore your hair. 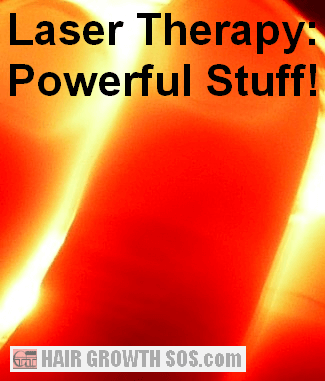 How Does Laser Therapy Stimulate Hair Regrowth? 1. Reducing inflammation (note: turmeric and curcumin might be a more natural and effective way to reduce inflammation instead). 2. Increasing cell energy levels (in the form of ATP - adenosine triphosphate). 3. Inducing vasodilation (widening blood vessels) which then increases blood flow and the supply of nutrients to the hair follicles. Laser hair loss treatment is aimed towards those who have only just started losing hair or developing thinning hair, and not really for anyone whose hair loss is already severe. However, since laser hair therapy also has a skin healing effect, it can also be used to help the scalp recover following hair transplant surgery. Laser hair loss treatment is also known as: low level laser therapy (LLLT), cold laser therapy and laser phototherapy. But, whatever you call it, using lasers for hair loss is complicated and costly. It’s not just a question of getting a clinic to simply shine red light on your head for maybe 30 minutes, twice a week. As you'll see below, there are several factors to think about before you go ahead and give laser hair loss treatment the green light. The wavelength said to be of most benefit for hair regrowth is 650 nanometers (nm), which is visible as red light as you can see from this image. However, some companies use slightly different wavelengths in an attempt to improve hair regrowth even more. Laser light is coherent – the light waves do not scatter because they’re "in phase" with each other. This gives a concentrated beam of light. Other types of light, like LEDs, are non-coherent (or incoherent) – their light particles (photons) are not in phase and so will randomly scatter as soon as they leave the light source. However, lasers appear to lose their coherence when they enter the body, and this has led to uncertainty about whether the argument for using lasers rather than any other light source is flawed. Also see point 5 (Power level) below. Most lasers have very low divergence - they produce a single point of light and don’t spread out and "dilute" the radiation they emit as does diffused light (such as the LED in the diagram below). This means that they can target specific areas of the scalp efficiently and, therein, might work better. But it also means less coverage. And so the total duration of treatment might need to be longer to treat the whole scalp unless the laser device used has a high number of laser diodes or uses diffused lasers. Diffused lasers do have a greater divergence which makes them safer and gives more coverage. And the total duration of treatment can be reduced depending upon other factors such as how strong the lasers are. Some consider pulsed lasers to be more effective for tissue healing. But, a continuous wave laser works well at reducing inflammation (something that's also been associated with hair loss). 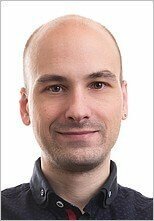 So which type is best for hair loss? Another thing to consider is that some pulsed lasers used in laser hair removal treatment seem to get converted into thermal energy more efficiently than continuous lasers, and so can "kill" hair follicles more effectively. So, use a pulsed laser device and you might be suppressing your hair follicles rather than stimulating them! * If it does scatter, that means any other type of red light like LEDs might be just as effective (and much cheaper and safer too). Some say it all depends on the power output, whereby the more powerful a laser is, clearly the deeper into tissue it will reach. But obviously both laser comb manufacturers and clinics have to make sure that their devices won’t harm the patient - that would definitely be bad for business! So that could mean there’s a compromise on laser power level which might be less than optimal. Your skin type might also affect what dose is optimal for you – skin color and tone can obviously vary from person to person. So, does laser light penetrate darker skin as well as it does with lighter skin? This factor certainly affects the success of lasers for hair removal. But companies selling laser combs for hair loss treatment do not even seem to mention this on their websites. If your hair loss is minimal, or your hair has only just started getting thinner, then it makes sense that your hair follicles are still in a healthier state than someone with severe or rapid hair loss. So this factor could influence how much laser therapy your scalp really needs. As you can see, laser hair growth treatment is full of variables and uncertainties. And I would have thought such uncertainties would be enough to put most people off the whole idea, let alone the huge cost involved. 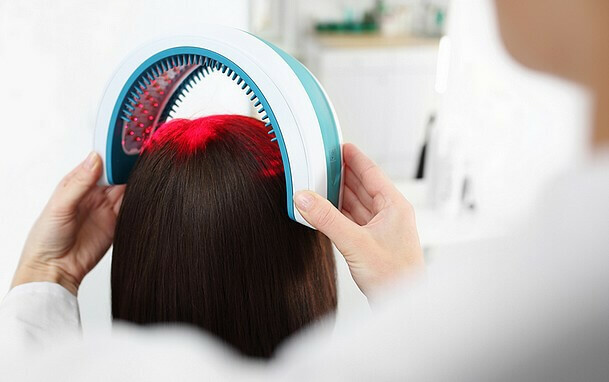 But, if you’re still thinking about some form of laser therapy for your hair loss, take a look at my HairMax LaserComb review, which asks whether laser combs really work, compares clinics with use-at-home products, and gives four more factors to think about! Finally, if you’re thinking about using a laser hair therapy for treat male pattern baldness, don’t forget about skull expansion – the underlying reason why this condition develops in the first place. 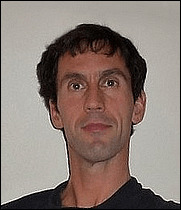 Laser hair loss treatment doesn’t address skull expansion at all.